Beyond the marketing and above the technical detail some just want to know what it is we do and who we are. Please take some time to read the Advantage of using Cloudurable™. This is the best resource to understand what Cloudurable™ is all about. Our focus is on Cassandra consulting, Cassandra training, Kafka consulting, and subscription AWS Cassandra support with a focus on AWS Cassandra deployments. 2. What products do you provide? We bundle our software products and offer them via subscription Cassandra support and subscription Kafka support. Our subscription prices are availability here: (subscription pricing for Cassandra and Kafka). We also have tools for generating cloud formation templates and terraform templates for Spark, TICK, Cassandra and Kafka. These templates can be updated and customized. They come with support for monitoring, and alerting. The monitoring works with Amazon CloudWatch logging and metrics. This allows you to create events in AWS. These templates use VPC, subnets, availability zones, placement groups and configure security groups to provide a production ready Cassandra or Kafka deployment. We use these tools to help clients implement Cassandra in their EC2 environment. We provide AMI images for Kafka and Cassandra that have CloudWatch monitoring and logging preconfigured. We also provide templates to create custom images if you have custom software that needs to run on the nodes. The tools for generating cloud formation templates use these tools. We provide production support for these images as well as updates to the images. If you are having production issues with Kafka, or Cassandra in AWS we provide support. The updates to AMI images for Kafka and Cassandra as well as the 24⁄7 support that comes with the enterprise subscription package. You can buy the support level that fits your needs. In addition to this we provide AWS centric training and consulting. 4. Do you support other cloud or on premise besides AWS? No. Our sole focus is deploying on Amazon AWS. The AWS ecosystem is rich. We focus on AWS CloudFormations, and write tools to integrate with AWS CloudFormation. We feel if we support five public cloud providers, four private cloud vendors, and deploying to bare metal that we will not be hyper focused on the AWS ecosystem, and miss out on synergies in this AWS ecosystem. By focusing on AWS we can provide tools and services that are unparalleled. We provide unparalleled reactive monitoring by taking advantages of synergies only possible by focusing on AWS services like CloudFormation, EC2 Enhanced Networking, CloudWatch, Elastic Search / ELK, and so much more. By building our tools on the shoulders of a giant we can do things like no other company who support Cassandra. It it is a matter of not wanting to be everything to everybody but to not excel at the intersection of AWS / Cassandra and AWS / Kafka. Our mission is to provide the best possible support of Cassandra/Kafka in AWS. We could not do that if we split our focus for every possible deployment environment. The cost of doing things wrong can be very expensive so we would rather be a master of AWS deployments of Cassandra and Kafka then be a jack of trades when it comes to infrastructure. 5. Why are you less expensive than other cloud providers? 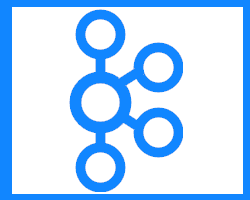 We focus on support and using Spark, Cassandra and Kafka correctly in AWS. We focus on tooling and monitoring for real-time data engineering projects. We also take feedback from our customers to update our monitoring and support tools so we can better diagnose and fix problems. This knowledge improves our tooling which improves your experience with these tools and also helps us to keep the support costs lower. Ultimately you are using AWS to host your Cassandra and Kafka clusters so we do not have to charge a one-size fits-all hosting costs which will typically be more expensive. Also we focus on services and features that AWS has like Lambda, CloudWatch, etc. so you do not have to pay third parties exorbitant fees to provide services that AWS provides. We focus on helping you get the most out of your AWS experience. But more importantly than our price is our value. We feel that we provide the best value for deploying Cassandra and Kafka to AWS. It is not just the cost of our service. It is the money you can save from reducing your EC2 spend or the money you can save by picking the most resilient system for your needs. Our services are the best at any price point. The cost of doing things wrong can be very expensive. 6. What are the advantages of using Cloudurable? Advantage of using Cloudurable™ does a nice job of explaining what we provide and the cost savings we provide. This is a high-level description of what we do and what differentiates our products and services. If you want to see the real value that Cloudurable™ provides then start by reading Advantage of using Cloudurable™ (link above). We are a DevOps focused company. We create tools that make Cassandra and Kafka more supportable in an AWS environment. 7. What are the benefits of using subscription support? are spelled out here. This covers the detailed software components that we provide. We do provide training and mentoring. We can also provide resources to help you implement Cassandra or Kafka in AWS. To learn more about our training see Cassandra Training. Our training and mentoring is always going to be around Cassandra, Kafka and AWS. To us training is a means of supporting your efforts in the areas we are focused on. We are not a training company. We are a product company that provides subscription support in AWS. 9. Do you provide consulting? Yes. We provide Apache Spark, Cassandra consulting, and Kafka consulting with a focus on AWS deployments using TICK for KPI, monitoring and resilient production deployments of data engineering projects. We provide architectural analysis, and quick start mentoring as well as contract support to implement Cassandra in AWS/EC2. Again, we do this not as a primary focus but just realizing that some companies and groups need more guidance and help to get started. Architectural consulting and training at the start of a project can save tons of money by avoiding costly pitfalls, unnecessary AWS/EC2 spending, and the benefits are always very high. Quick start mentoring can train and prepare your team to support Spark, Cassandra and Kafka in EC2/AWS. The difference in knowing how to apply tools and which tools to use for which parts of the Lambda architecture up front can quickly equate to saving millions in costly mistakes and architecture dead-ends. The mentoring can reinforce the training and architectural analysis. Also, we can augment your staff to implement Kafka and Cassandra in AWS/EC2. Then we can continue to support you with our subscription support which can include quarterly checkups of your clusters for security compliance, AWS over provisioning, disaster recovery readiness, and make recommendations for changes. As your system evolves (features and usage) we can provide consulting to evolve your clusters to match current workload to save money, ensure SLAs, ensure compliance, and ensure disaster recovery readiness. Our goal with all of our consulting is to hand everything over to your staff when we are done. 10. How can we contact you? To contact us please use our contact page contact us or call (415) 758-1113 or email us info@cloudurable.com. Please take some time to read the Advantage of using Cloudurable™.